A testament to its owners wealth and power, the brilliant diamond survived exiles of kings and the fall of empires. After the assassination of its final owner in 1747, all records of the diamond virtually disappeared. The stone which rose from the dirt of a dried riverbed in India and became of the world’s most puzzling precious stones has been displaced ever since. For centuries, historians believed that Egypt, Babylon, and Assyria were the only great Kingdoms of the ancient middle eastern world. But the early 20th century yielded the discovery of ruins that might indicate the existence of a fourth kingdom: the Hittites.Sponsors!Robinhood - Robinhood is giving listeners of Gone a FREE stock like Apple, Ford, or Sprint to help you build your portfolio. Sign up at GoneCast.Robinhood.com. Since the first Europeans set foot in South America in the late 1400s, explorers have been captivated by, El Dorado, the mythical city hidden within the jungles of the Andes Mountains. After centuries of expeditions and countless lives lost in the pursuit, no man has actually ever laid eyes on this fabled city. Sponsors!BetterHelp - Go to BetterHelp.com/GONE to get 10% off your first month with discount code GONE.CBS All Access - Head over to CBS.com/GONE to redeem your FREE trial of CBS All Access to watch the new season of The Good Fight, now streaming exclusively on CBS All Access. Most people consider the Dodo Bird to be synonymous with human-driven extinction. First discovered by Dutch sailors in the late 1590s, it would be completely wiped out in just over 60 years. The pursuit of the last remnants of this iconic creature continues to this day, with an incomplete composite skeleton selling recently for just under half a million dollars.Sponsors!CBS All Access - Head to CBS.com slash GONE to redeem your FREE trial of CBS All Access.Robinhood - Robinhood is giving listeners of Gone a FREE stock like Apple, Ford, or Sprint tohelp you build your portfolio. Sign up at Gonecast.Robinhood.com.Zola - To start your free wedding website and also get $50 off your registry on Zola, go to Zola.com/LOST. In 1865, Confederate President Jefferson Davis fled with hundreds of thousands of dollars worth of gold. What happened next has been debated by historians and treasure hunters over the last 150 years. Did Davis squander what remained of his country's treasury in a desperate attempt to keep the Confederacy alive? Or, is it possible that the gold is still out there, waiting to be found?Sponsors!BetterHelp - GONE listeners get 10% off your first month with discount code GONE when you go to BetterHelp.com/Gone. This legendary trove of gold and precious jewels was a figurative and literal representation of the Aztec Empire's wealth. The treasure also had the value of high art that showed the empire's impressive reach and influence in the 1500s. However, all good things come to an end and the fall of the empire marks the moment Montezuma’s treasure was never to be seen again.Sponsors!Zola - To get your free wedding website and also get $50 off your registry on Zola, go to Zola.com/LOST. Just because something vanished, doesn’t mean it can’t be found. 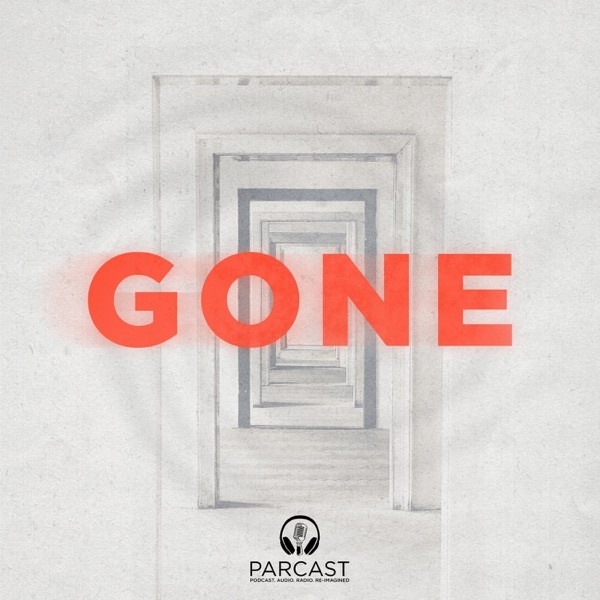 Gone examines the greatest disappearances in history, and the theories they spawned. If it's gone, we're looking. Gone is a production of Cutler Media and part of the Parcast Network. Starting April 23rd, new episodes will release every other Monday.